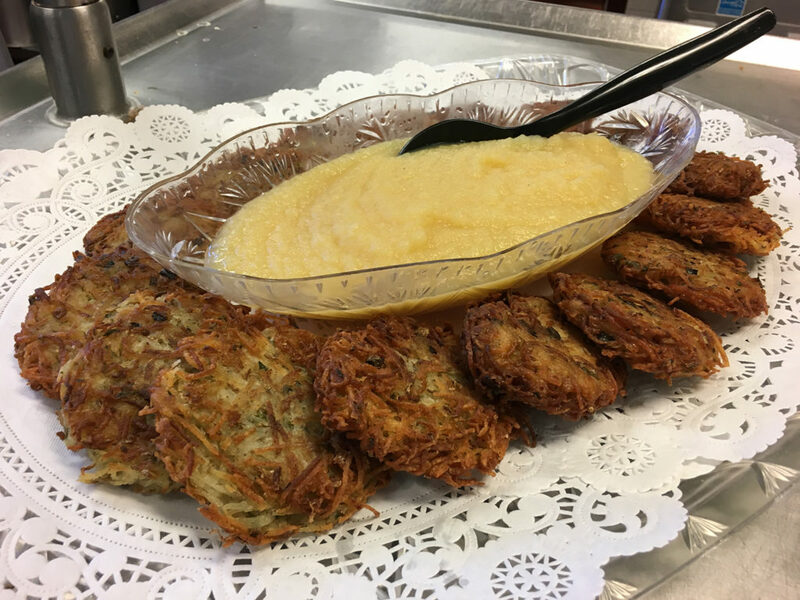 Order your latkes today from the J Kosher Kitchen! We’re offering both traditional potato latkes and gluten-free potato latkes by the dozen. All orders come with applesauce. New & Improved for 2018! The J’s Hanukkah Hoopla is the ultimate holiday experience for the whole family! Patrons will get the opportunity to explore all of our local and unique vendors as well as partake in family activities and delicious kosher foods. Admission is free! We are pleased to welcome the below vendors to our 2018 Hanukkah Hoopla. Note: we have reached our vendor capacity. All activities end around 5:30 pm. Menorah lighting with Chabad of Dallas begins at 5:30 pm. Maccabi teens selling sodas etc. Note: we have reached our vendor capacity and currently have a waiting list. The 2-table option is SOLD OUT; only single tables are available. We are currently accepting a limited number of the best entrepreneurs, artists and craftsmen to showcase. As you know, this is one of the the J’s premier events and will be heavily marketed to attract a crowd of the most affluent, cultural, and loyal consumers in the DFW marketplace. Aside from the table fee, all vendors keep 100% of sales money. Plus, vendors will be spotlighted in our marketing on social media and marketing materials. Vendors do not need to be Jewish; however, we do not allow any Christmas-themed items to be sold. Otherwise, we are open to all varieties of merchandise, especially kid-friendly and family items. Registration fee reserves a 6-ft table, with tablecloths and 2 chairs. An additional 6-ft table is available for another $25; however that 2nd table fee is waived if you donate a product to the Buyer’s Raffle. Registration fee includes added promotion in weekly email to 17,000 subscribers. Vendors can supply up to 40 words of copy, along with an image and website address to be included in promotion. Event layout now guides all visitors directly thru the marketplace for full vendor exposure to buyers. To ensure your spot, registration with payment is due by Wednesday, November 15. For more information, please email us at hoopla@jccdallas.org or call 214-739-2737. We look forward to having you as part of this 3rd annual community event.